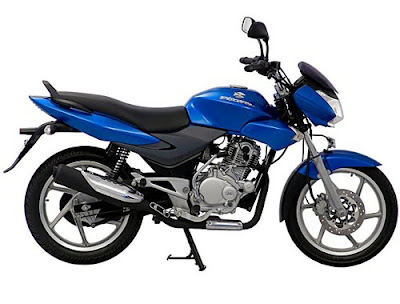 The All new Bajaj Discover 150cc, a bigger version of Bajaj Discover, is going to be launched soon in India. Bajaj Auto, one of the leading two-wheeler manufacturer, hasn't any confirmation regarding that launch in India, but as per some news reports it is expected to be launched on 10th May, 2010. The new version will be powered by 150cc displacement, four stroke, air cooled, SOHC, 4 valves, DTS-i engine and single cylinder. Bajaj Discover 150cc engine develops a maximum power of 14 PS and also likely to generate peak torque of 13 Nm. It is believed to be available with a price tag of Rs. 65,000. Presently, Bajaj Discover 135cc and Discover 100cc models are on demand in the Indian auto market. 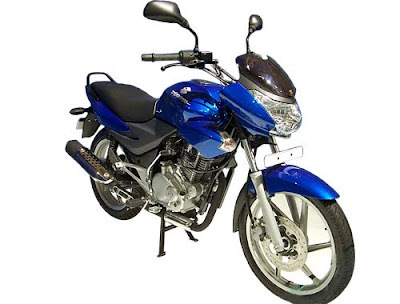 Bajaj Discover 150cc to be available in different states of the country within the month of June 2010. One of the major change, which are showing in the model picture that it's new model headlamp is too large compared to the old sibling of Bajaj Discover. The Discover 100cc variant is really performed well in the entry-level segment with 41,000 price tag. After introducing in the auto market, it has got an overwhelming response from the two-wheeler market. Bajaj Auto hopes that the new sequel version would get a positive attention from the market. The company's one of other brand model, which is also established in premium bike segment, Bajaj Pulsar 150cc. Apart from that launch, Indian bike lover will see more launches and upgraded vehicles in India that includes Honda CB Dazzler, Suzuki Zeus 125cc and Yamaha YZF R125 soon in India.